I am superbly excited to write this post. Isn’t it absolutely wonderful when you are appreciated for something? 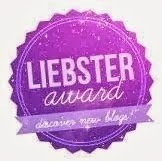 It’s been just a few months since I started this blog, and already I have received the Leibster Award. And believe it or not, I am on Cloud 9. 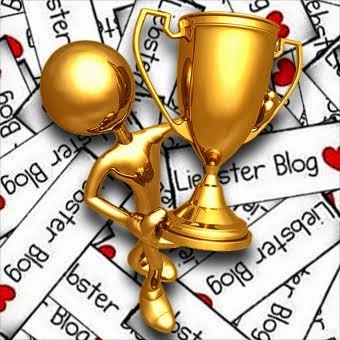 I had never imagined that I would be given this award this early and when I would visit all these other blogs and see them have the Leibster Award badge on their sidebar, I would just imagine what it would feel like to get one of those, as well! Here’s a little intro to their blogs as well. If you haven’t checked them out already, then what are you waiting for? Quickly go over to their blogs and see how amazing they are! - A lipgloss from Maybelline, when I was 14. - I am not much of a jewellery person, but I do love experimenting with earrings. - Essie!!!! I love their nailpaints! - Favourite drugstore brand will have to be Maybelline. High-end brand will include MAC. 6.What is your favourite lipgloss? - Revlon Super-Lustrous Lipgloss in Lilac Crème. - MAC blush in Blushbaby. 8.What is your favourite home remedy? - Haha!! Uhhh….scrubbing a sugar-cube on my lips vigorously to exfoliate it. 9.What is your recent favourite blog? - www.makeupandbeautyblog.com. The blog is very well-written. Only sad thing is that it’s an International Blog, so most of the reviews are about high-end brands or stuff that you don’t get in India. - I avoid buying make-up unless it’s absolutely necessary or I want to try something new really badly. However, when it comes to buying nailpaints, I tend to pick a few up every other week. 1. Which ingredient from the kitchen you swear by? 2. Which is the most expensive make up product that you own? 3. One place you would love to go and with whom? - Shoes!! I am not really a bag-person. 5. Favorite drug store brand and high-end brands? - Maybelline and MAC, respectively. 6. Which is the current TV series that you are addicted to? - Currently, it’s Two and a Half Men. But, I am crazily addicted to F.R.I.E.N.D.S…I tend to watch an episode or two every day, even though I have every scene memorized to the T.
7. Which is your favourite Lipstick, Mascara and Blush? - Lipstick: uhhh…I don’t use lipsticks. I own a few Maybelline ones that I am not very fond of. 8. Name one celebrity you envy? - I don’t usually envy people…but uh…from the top of my head, Halle Berry. She has an amazing personality. 9. Name a movie that you never get bored of watching? - Horrible Bosses! It’s hilarious. 10. Name 5 beauty blogs you follow? - Makeupandbeautyblog.com, IMBB, WiseShe, MusingsOfAMuse, Corallista. 11. Whats on your wish list? - Ahh…I don’t have any icon whom I follow as such. However, I do love Deepika Padukone’s sense of style. 2. What is your favorite attire? 3. Which actress's wardrobe do you envy? - I don’t envy anyone’s wardrobe, as such…However, if I have to choose, it will have to be Deepika Padukone’s. That woman sure knows what can turn heads her way! 4. What is your favorite lipstick shade? 5. Your Favorite perfume till date. - J’adore by Christian Dior, Chanel No.5, Davidoff Cool Water and Dior Poison. Very hard to pick a favourite. I love them all equally. 6. What type of shoes you wear mostly? - Simple flats in different shades. - Sleeping. Yeah, not kidding! Uh…if not that, then watching funny movies and TV shows. 8. Your best-buy till now? - An Apple Ipad Mini. Period. 9. Your favorite cartoon character. - Hahaha….now that’s a tough one. I am still addicted to cartoons. My favourite character is probably Johnny Bravo. He is so dumb and funny, and ridiculous, you can’t just help but love him. 10. Name one makeup product that you use everytime you go out. - Lipbalm. I never go anywhere without using that. 11. Your favorite skin care brand. Now, coming onto the people I will be tagging. Please note that I have chosen those blogs who have less than 200 Google+ followers! Just copy the following down, answer them, tag me back and tag 11 other bloggers with less than 200 followers! Spread the joy around! Loved your answers and thank you so much for taking the trouble to reply and that too 3 sets!